Ideal, highly visible, Main Street location with 1,500 pedestrians and 17,000 cars passing the building daily. The “Gateway to Vermont,” Brattleboro is just 2 hours from Boston and 3½ hours from NYC. 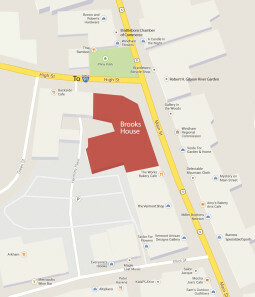 The Brooks House location is rated a “Walker’s Paradise” by walkscore.com—scoring a perfect 100. Dozens of short term parking spaces are located next to the property and 3 long term municipal parking lots are within a 3 minute walk. 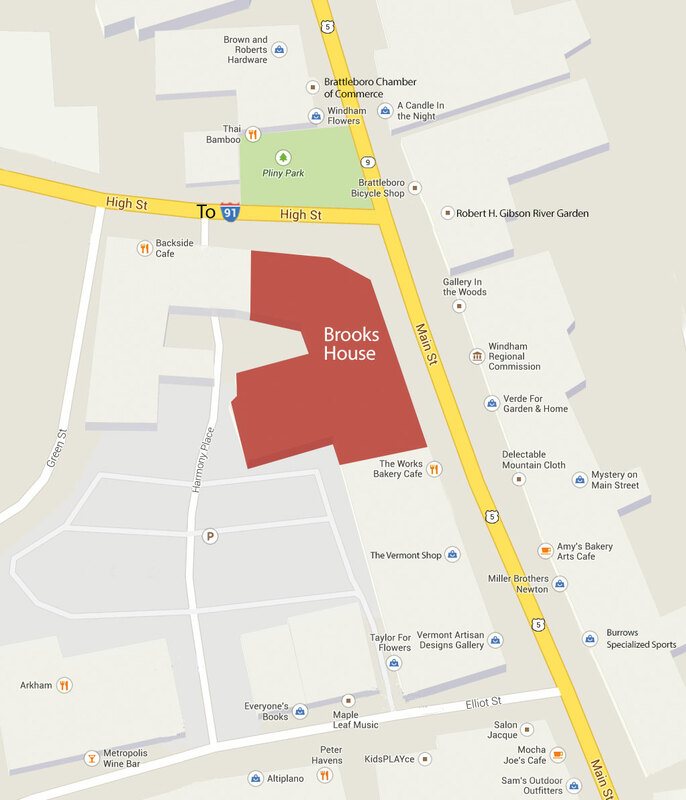 All three of Brattleboro’s Interstate 91 exits lead directly to the corner on which the Brooks House stands. It is one of the most recognized and photographed landmarks in the area.